It has been a long time since I have been able to share good news on this blog. An article published on The Revelator by John R. Platt contains hopeful information: the Amur leopard’s (Panthera pardus orientalis) population has effectively tripled since the year 2000. Eighteen years ago, only 30 Amur leopards remained in the wild. Now there are 103. While this is still a small number, it gives the Far East’s leopard more cushion against extinction. It also is a testament to what effective conservation can do. When news broke in 2000 about how close Amur leopards were to extinction, conservationists and the Russian government sprang into action. 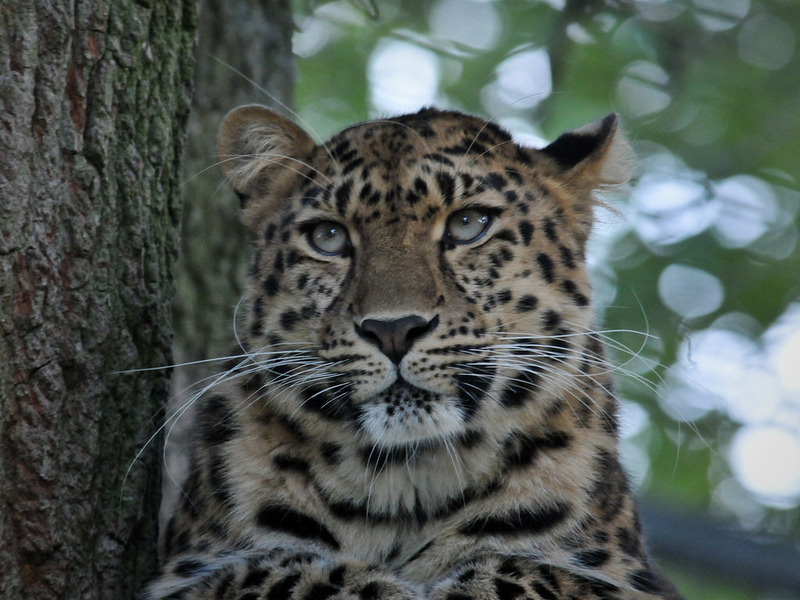 Platt’s article talks about the 2012 establishment of the Land of the Leopard National Park, which gave Amur leopards 647,000 acres of relative safety. Platt also writes about Russia’s efforts to stamp out poaching, restore formerly grazed landscapes, and make it easier for leopards to cross a major highway. On the Chinese side of the Amur leopard’s range, conservationists and the Chinese government have been working to remove snares. The cat’s population appears to be growing in China, although the scientific data is less extensive than it is for Russia’s leopards. Lastly, improvements in counting methods are partly responsible for the higher estimates of Amur leopard numbers. However, Platt stresses that genuine population growth is the main reason behind the new figure of 103 leopards. This is great news, although more work needs to be done. I strongly recommend you read John R. Platt’s original story for The Revelator, as it contains more information. No problem! It’s a great article, and one that I’m happy to share. Plus, I just read that lowland gorillas have been undercounted, even though they are still critically endangered. It is super hard to put a good spin on what our species has always been doing vis a vi animals and the planet. The news about the lowland gorillas is encouraging – sort of. It is hard to stay optimistic about our species’ self-destructive tendencies, but we have to find ways to stay hopeful. When people lose hope they stop trying, and that’s the last thing we need. That is so cool to hear. I just learned of another rare cat called the King Cheetah. It has stripes and spots . Yes, I know. I did the same. Isn’t nature marvelous. Such a marvelous variety to choose from and all so precious. My husband said the King cheetahs look like a cross between a cheetah and hyena and in the one picture, I had thought the same thing. They are a unique phenomenon. I wonder why/how these leopards were endangered in Russia of all places. When I think about habitat destruction I think of large populations like New York City or Los Angeles..not Russia. I wonder if their population decline was linked to climate change as well. Thanks for sharing! Awesome news in a time when so often, all we hear about is declining populations. For sure. That’s why this news deserves to be highlighted!